Ambulance Australia Delves Beyond The Blue Flashing Lights. Ambulance Australia takes viewers through every step of the medical emergency. From the moment the call takers answer the triple zero call at the control centre, to the dispatchers managing the high-pressure logistics of getting crews to the patients, and on the road with the paramedics as they respond to the emergency and treat the injured and the ill. Ambulance Australia introduces the people behind every link in the emergency chain and explores the motivations, pressures and rewards that keep them in the business of saving lives. With the emergency personnel never knowing what the next call may bring, they must prepare for every possible situation, and every potential outcome. 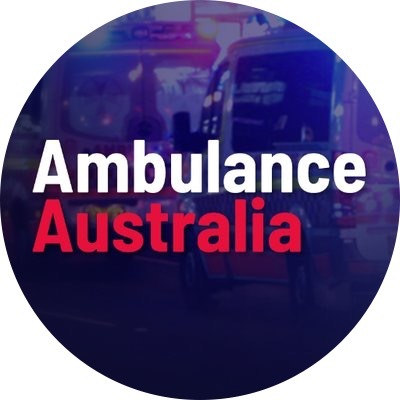 Ambulance Australia delves beyond the blue flashing lights to the heart and soul of the people devoted to helping others on the worst day of their lives. Good timing with the UK series. Episode 7 aired last night with the season 3 finale next Saturday 6th October. That completes all the episodes available from the UK. Then 10 days later the Australian version begins. The UK version helped Ten to a near 10% channel share last night, the highest it’s been for a while IIRC. Hopefully the new Aussie version does well for Ten, I’m looking forward to watching it. A lot of likes, comments and shares on this post - hopefully a decent factual does well for them considering we’ll have 3 similar shows on air around the same time. Ambulance Australia delves beyond the blue flashing lights. 🚨🚑 Premieres Tuesday, 7.30pm October 16 on TEN. Don’t think this has been mentioned anywhere yet, based on the below post on twitter it appears that Lisa Wilkinson may be narrating this season for Ten? 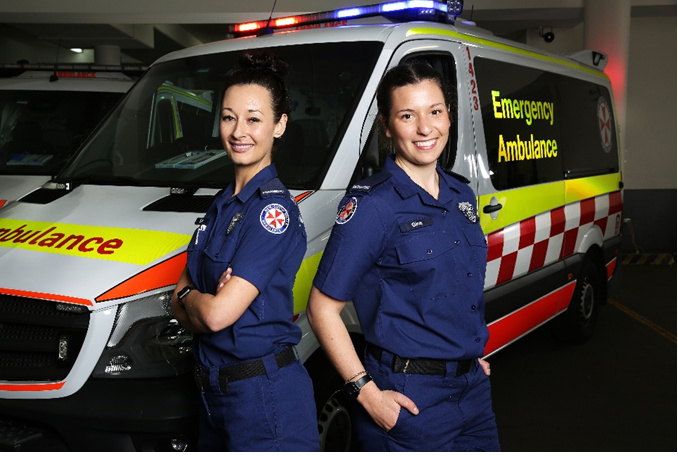 Ambulance Australia executive producer Sarah Thornton has revealed more details about the show in an interview with Mediaweek. For example, for each episode, five ambulances across NSW were rigged with more than 30 small cameras imported from Germany, and crews were stationed in all the control centres. Another series telling authentic Australian stories is Secret Life Of Four-Year-Olds. It airs after Ambulance and is being made for Ten by Screentime. Thornton is also EP on this for Ten with Jennifer Collins her counterpart at Screentime. Notice this tweet from last week regarding a segment in tomorrow’s premiere. 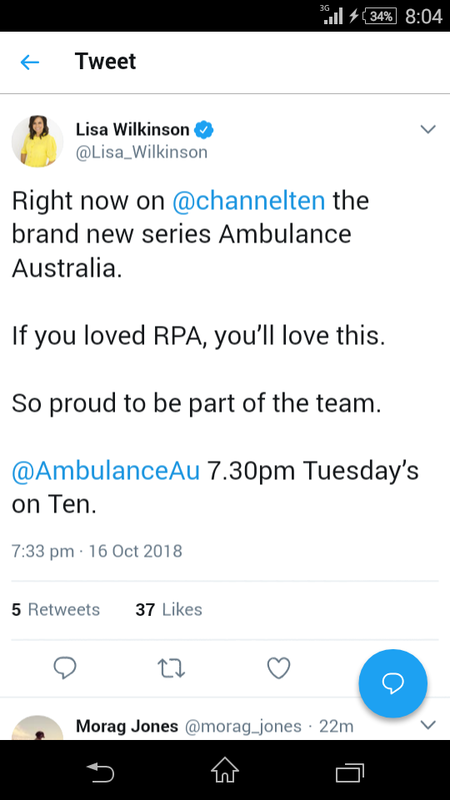 @NSWAmbulance @channelten I have nothing but respect for ambos but you should know the family of the deceased person in the first ep was not consulted and has not given permission for this to air. It has been very distressing for them. Unacceptable on @channelten's part. Surprised they didn’t announce Lisa Wilkinson as host prior to. Surely would’ve made sense to promote that somewhat. Returning for another season in 2019. Witness the extraordinary. 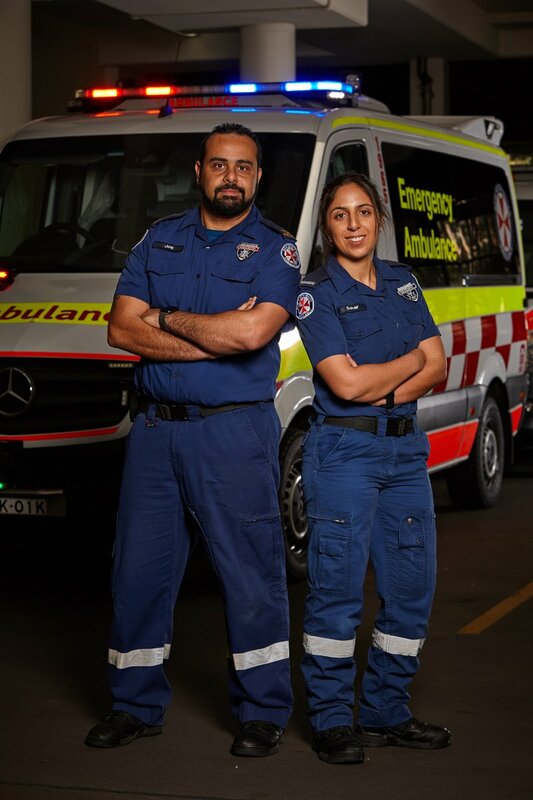 🚑 Ambulance Australia | Tuesday, 7.30 Feb 26 on 10. The red and white lights return. 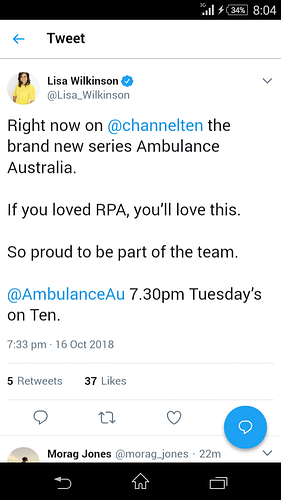 🚨 Ambulance Australia | 7.30 Tuesday on 10. Season 1 is now available on BBC iPlayer in UK after it was shown on BBC Three. Season 1 is currently on air on TVNZ 2 in New Zealand on Tuesday nights.